The Borusan Contemporary Art Collection is constantly expanding through acquisitions and new commissions that support artistic production. Practically speaking, the priority of the collection is digital and media art. Conceptually, the foundation of Borusan Contemporary’s activities is a contemporary art collection, which favors works that deal with the depletion of the world’s natural resources, climate change caused by industrial pollution and the sense of individuality threatened by global communication networks. The emphasis at Borusan Contemporary is varying interpretations of contemporary culture that use strategies unique to presentation. How does one begin a collection exhibition? We have been looking for the answers to this question through the works of figures of modern Turkish literature for the last three years. By layering poems and texts with media art, the goal is to open up a new path of interpretation for viewers. 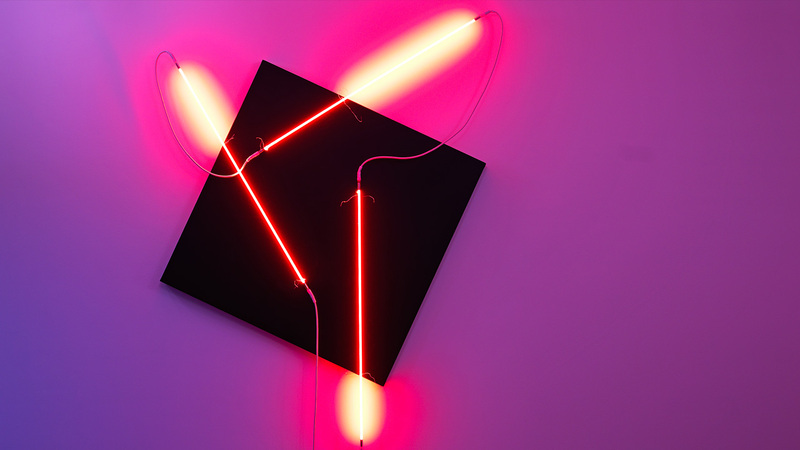 Thus, the poems, texts that appear not to be directly related to the video sculptures, neon installations, large-scale photographs, are juxtaposed. All of this is to take the first step. The first step is important. It is also important for that step to be sincere. Twilight takes its point of departure from Metin Eloğlu’s (1927-1985) works. A most extraordinary creative, Eloğlu is an exceptional painter and an undefinable poet. He was never on good terms with rules, order or discipline. Eloğlu began to make abstract paintings at a relatively early time for the genre, in 1949. He published Düdüklü Tencere[Pressure Cooker] in 1951, pushing forward the language inspired by Orhan Veli. Eloğlu’s language, colors and lines are inspired by unexpected sources, placing him in a niche both within painting and poetry. In both his drawings and writings there is a discomfort, an ill temper that emerges from an unknown place.